The four coronations of the 20th century were enormous and extravagant. Replete with festive pageantry, these ceremonies were joyful celebrations of British music, employing tremendous forces. 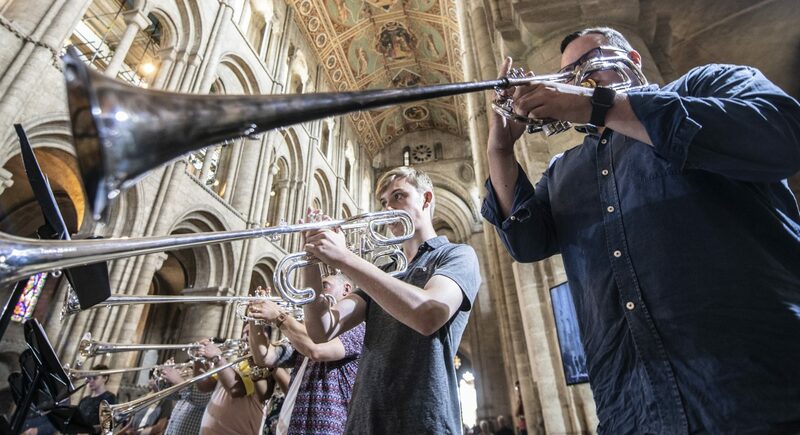 Choirs from across London and beyond were marshalled to provide a chorus of over 400 voices; a full-size symphony orchestra was squeezed into Westminster Abbey, whilst fanfare trumpets and drums heralded the celebrations. Hot on the heels of the release of a new recording recreating these vast musical forces, Paul McCreesh and Gabrieli bring the history, ceremony and liturgy of these four extraordinary coronations to life in a programme for choir, organ and brass ensemble, shedding new light on beloved works of the Anglican cathedral tradition.